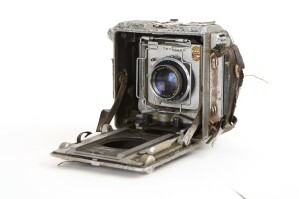 The British-made camera could be used with either sheet or glass plate film. It had a variety of tilts and swings making it suitable for many different photographic disciplines. The Linhof aerial camera had a fixed wide-angle lens. 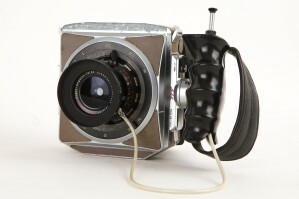 The camera was specifically designed for helicopter photography using Cine Rollex 56×72mm film in user-loaded cassettes. Each sprocketed film would take up to 51 shots. 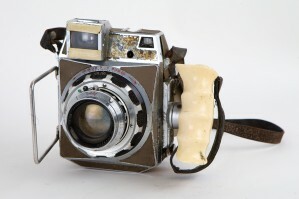 In 1960, Linhof brought out a new camera, called the Linhof Press. It had four lenses, including a 53mm Wide-Angle Biagon lens. Padraig used the Linhof for taking photos to produce a line of black and white real-photo postcards. The camera had a tilting back and was very useful for photographing wide hotels in narrow streets without too much convergence. 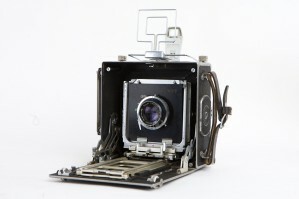 The Linhof camera used a 6×9cm roll film. The hand-held camera had an anatomical grip for use in the field. The Mamiya camera had an interchangeable lens using a 220 roll film. 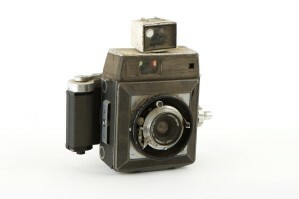 The camera was loaded with 6×9 cm and 6×7cm roll film. 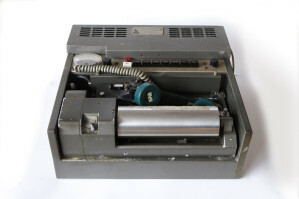 In 1960 the most valuable items Joan and Padraig added to their kit were two new Muirhead picture transmitters. Urgent news photos were wrapped on a scanning drum and sent over the telephone network to newspapers or news agencies. They could be located in any country and often in many countries. The transmission time for an 8×6 inch photo was 5 minutes. In November of 1969, a news alert sent Padraig to Shannon Airport, Co. Clare. A plane had been hijacked in New York by a 19-year-old Italian-born US Marine who wanted to return home to Italy. The plane stopped to refuel in Shannon and was kept a mile from the terminal. The high-jacker ordered the runway lights to be turned off and all other air traffic to be diverted elsewhere. Press photographers gathered at Shannon Airport were confined to the viewing balcony. The only visible lights on the runway were the headlights of the fuel trucks and the cabin lights in the plane. Padraig secured the most usable photos of the event and spent the remainder of the night sending images to print media all over the world by Muirhead transmitter from the studio in Tralee, Co. Kerry.